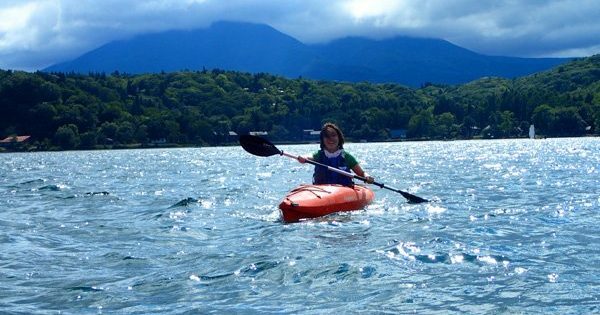 Nestled between the mountains in the northern portion of Shin’etsu, very close to the Nagano-Niigata border, is a sparkling jewel of a lake—Lake Nojiri. Nojiri-koi was formed between 11,000 and 49,000 years ago, most likely when debris from a volcanic eruption on Mt. Kurohime dammed a river. 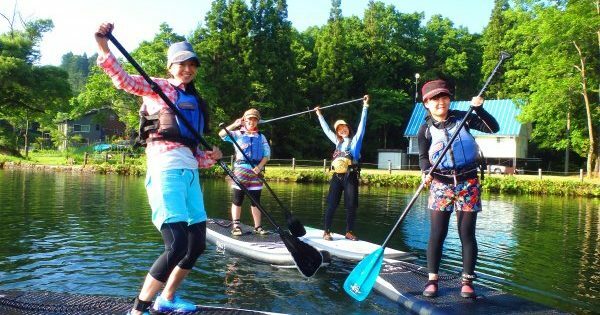 It wasn’t just a few flying rocks, either; Nojiri-ko is a deep, clean lake, home to abundant wildlife and a wide range of outdoor activities. Nojiri has gained fame for Palaeoloxodon naumanni or Naumann’s elephant, a small mammoth that lived in the region until some 15,00 years ago. Starting in the 1960s, several excavations have revealed the fossil remains of the mammoth; Sinomegaceros yabeii, a large broad-antlered deer; brown bears; as well as many stone, bone and wood tools. It’s clear that people have been coming to the shores of the lake for many, many years! Today many come for the smallmouth bass fishing; introduced in the lake, this sport fish is a popular target for fishermen. In winter, covered and heated vessels looking something like houseboats take travelers out to fish for wakasagi, a delicious smelt. Huge carp, eels, bluegills and other smaller fish also live in the lake; resident birds include the kingfisher, ducks including the striking Mandarin duck, cormorants and a host of songbirds and migratory birds. In early summer, a large colony of blue herons nests high in the trees on the unpopulated west side of the lake. Foxes, tanuki (raccoon dogs), several members of the weasel family, kamoshika (the Japanese serow, looking something like a cross between a goat and an antelope), occasional deer, boars and even a bear or two might be seen along the unpopulated shores. In the Edo period from 1603 to 1868, the Hokkoku Kaido, the ancient route which today’s roads follow, passed right by here. Both regional daimyo, or feudal lords, and gold from the mines on Sado Island travelled along the road to Edo, today’s Tokyo and the capital of Japan. 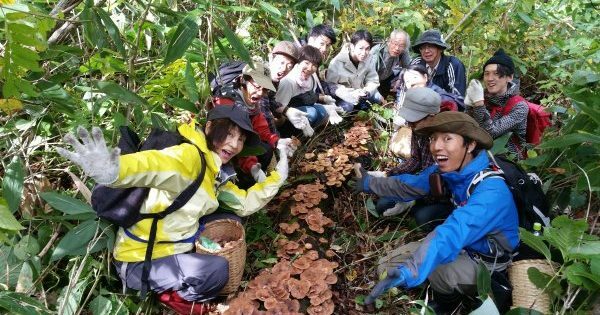 Many common folk also took the road from areas along the Japan Sea coast for pilgrimages to Zenkoji Temple in Nagano City. People traveled on foot in those days; Lake Nojiri was a stop on the road, so early on it became an important tourist destination. In the 1920s, Lake Nojiri was rediscovered as a tourist destination by Canadian missionary Dan Norman. 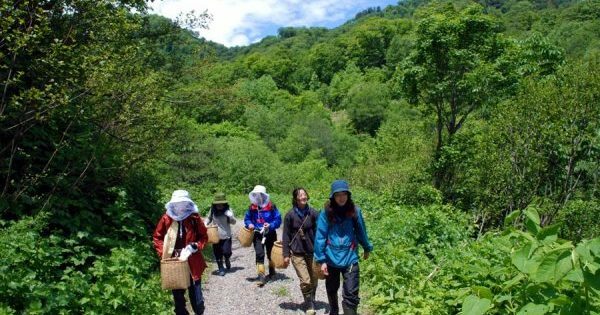 For many years, missionaries and other travelers would leave the hot cities for the summer resort of Karuizawa, at the far eastern edge of Nagano prefecture. By the 1920s, however, it was a pretty busy place, so Norman took his motorcycle for a trip, and found Lake Nojiri. It was and remains a different kind of international resort: simple cottages nestled into the woods, with low visual and environmental impact. Today it remains a pretty peaceful place. You’ll find a few motorboats out on the lake, pulling water skiers or wakeboarders, or the bass boats of those competitive fishermen. But there are far more sailboats, windsurfers, canoes and kayaks quietly making their way around the water. Nojiri-ko remains a peaceful, natural spot with a both a sense of history and many natural attractions. Mid-April - the end of Nov. The Guidance of your safety to enjoy activities in nature. There is a lot of danger that you have to pay attention during enjoying activities in the mountains, rivers, lakes and ponds etc. Have the knowledge and experience, and be ready for any situation. We would reccomend you to have guides who are specialized in the feild or paticipate tours. It is necessary to keep to its field regulations, rules and manners. The website is subsidized by Nagano prefecture, chiiki hatsu genki zukuri shien-kin.